After resting on the ocean floor for 300 years, it is only natural that the artifacts would become salty. The salt in seawater is soluble (dissolved in a liquid, such as water) which allows it to enter most of the materials found on the site. Salt enters the artifact through the process of osmosis; a concentrated solution (seawater) goes through a membrane (the surface of the artifact) to a less concentrated solution (inside the artifact) to balance the amount of salt on both sides. Even after concretion is removed from an artifact and the surface appears to be clean, most of our artifacts must remain wet because of this salt content. If an object dries without removing the salt, it will crystalize and expand, putting pressure on the structure of the material, potentially ruining the artifact. Salt crystallization can continue to occur, even after controlled drying of the artifact, because of the relative humidity (RH) in the air. Eastern North Carolina tends to be humid, and the water in humid air causes the salt crystals to grow, resulting in further expansion and damage. Non-metallic materials, such a glass, wood, textile, leather, and ceramic, go through a specific type of desalination, the process of removing salt. We desalinate objects by placing one or more in a water solution with a lower salt content than seawater. Through osmosis, the soluble salts slowly leave the object as the two solutions attempt to equalize. At the Lab, we test the water the artifact is soaking in using a TDS (Total Dissolved Salt) meter, which measures all the salts dissolved in the water. We start the desalination process in tap water, which reads just above 100 parts per million (ppm) of salt. Seawater regularly reads above 400 ppm, meaning tap water falls well below that threshold. Each week, we test the solution of the actively-desalinating artifacts to see if the amount of salt in the solution has increased, or plateaued from the previous week. When the reading stops climbing, we change the water out for fresh water and begin the testing process again. After the solutions reading plateaus at the salt level of tap water, we then move the artifact to reverse osmosis-purified water, or RO water. RO water is tap water that has gone through a system that strips the water of all impurities, including salts, and is a common type of purified bottled water that anyone can buy at the store. RO water reads 0 ppm, so when the artifact’s solution reads 0 ppm, it has completed desalination and will begin the next part of conservation, which will vary depending on the artifact’s material. Stayed tuned for future posts about the next steps! -Cronyn, J. M. The Elements of Archaeological Conservation. New York: Routledge, 1990. 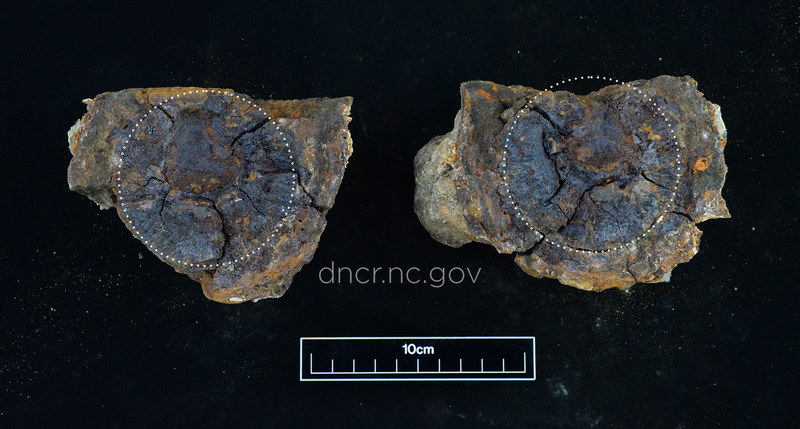 -Broken cannon ball from Queen Anne's Revenge site, courtesy NC Department of Natural and Cultural Resources. 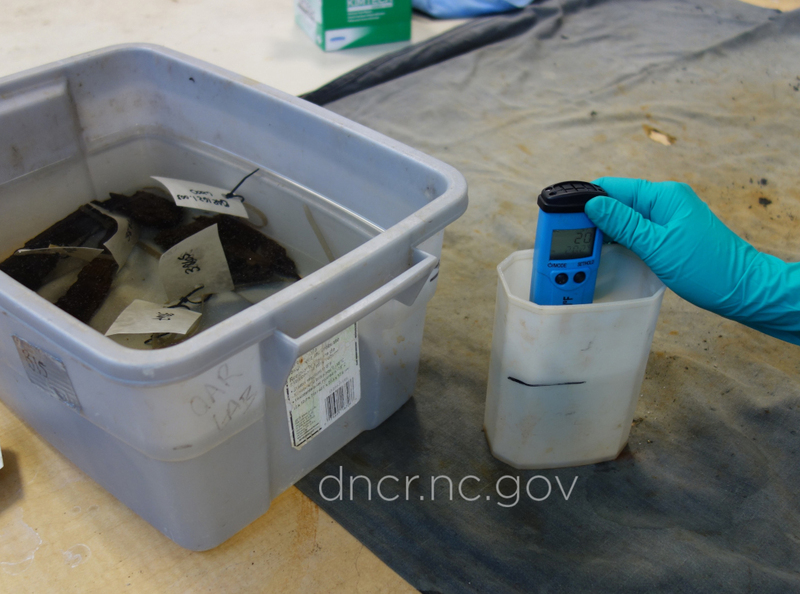 -Solution testing, courtesy NC Department of Natural and Cultural Resources.